Around mid April last year, I was lucky enough to be invited to the Keith Urban ‘Get Closer’ Tour, by my beautiful second family. Surprisingly though, for possibly the first time in the history of concerts, I think I was more excited about the support act than I was for the actual concert. Tonight, Lady Antebellum would be in Brisbane performing live at Keith Urban’s concert, a concert that I was lucky enough to be attending. Although they weren’t the main act of the night and although they only had a small amount of time to perform, as you can imagine, like any other girl going to see her favourite band perform live for the very first time, I was still over the moon with excitement. On top of that, like always, we had some of the best seats in the house. Unfortunately though, this time last year I was still extremely unwell and after using all of my energy just to make it down the stairs and into our seats, my excitement was quickly fading. By the time Lady Antebellum stepped out on to the stage and the music had started, things had gone from bad to worse in a matter of minutes. The music was so loud that I was in tears from the pain. My whole entire body was shaking with the vibrations and at the time, my body wasn’t strong enough to handle that kind of stress. So slowly, with tears in my eyes I again made my way back to the stairs, only this time I was walking up instead of down and this time, the excitement I had previously held about tonight had been replaced with disappointment. This time I was leaving, not arriving and it was completely devastating. There they were, closer than ever before and I couldn’t even manage to stay in the same room long enough to hear them play my favourite song. Luckily I had Mumma with me though, who sat outside and hugged me while I cried, listening to my favourite song from behind closed doors. Then what seemed to be just as quickly as we had arrived, she took me home again. Still devastated of course, Mumma did her best to cheer me up, promising that they would be back and that I would hear them again soon enough. At the time, I didn’t pay much attention, but like always, Mumma was right and they did in fact come back. 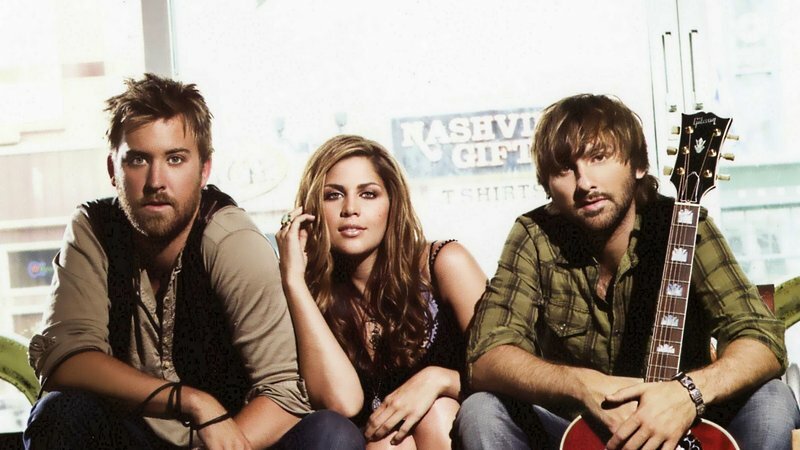 Tonight, Lady Antebellum came to Brisbane for their very own Australian Tour. Tonight I was given a second chance to see one of my favourite country bands perform live and this time, I was feeling on top of the world. Although I still had to have my ear plugs in for most of the night and although our seats may not have been as close as they were the first time, I didn’t care in the slightest. Down there on that stage tonight Lady Antebellum were performing live and this time, I stayed. This time I stayed and I heard every single song. So regardless of how far away we may have been from that stage, I was still there in that room and they were still singing all of my favourite songs. Regardless of what happened last year, I was here now and that was all that mattered. Tonight I was given a second chance to see Lady Antebellum perform live and I soaked up every single second of it.